In an attempt to encourage your company to enter the 2016 Da Vinci TT100 Business Innovation Awards Programme we have gone through our records and put together a series of anecdotes which describe some of the initiatives which organisations have put in place to ensure their long-term sustainability. As a preface to these anecdotes it is appropriate to reflect on the significant ruling emanating from the Constitutional Court in the case of Nkosana Makate vs Vodacom. This case places in the spotlight a deep concern that within South African organisations there is limited appreciation of how best to manage their key resource, namely their people. This observation must be seen in direct contrast to the common philosophical approach adopted by companies in Germany and other countries where it is commonplace that formal processes are in place to adequately recognise and reward employees who, through their own tenacity and ingenuity, have come up with new concepts which have enhanced the market share and profitability of their companies. The court ruling brings to the fore a need for a rethink as to how we, as South Africans, handle similar situations in our own organisations? One of the unique facets of winning companies in the Technology Top 100 awards programme are the innovative ways in which they continue to encourage and stimulate the involvement of their employees. The following anecdotes provide some interesting reading as to what can be achieved in small, medium and large organisations, where there is a firm belief by management that they can create an environment which provides for a win-win situation where they have a happy workforce, and in so doing the company continues to thrive. In all the anecdotes, the underlying common denominator is a senior executive team which has a unique approach to managing their people. In many respects this approach moves away from the notion of punishing people for failure, to one in which there is a predominant mind-set of “catching people doing something right”. When it comes to failure it is interesting to note that the approach is to encourage employees to share their view as to why a failure occurred and in so doing create an environment where “learning to failures” is seen to be a positive approach resulting in a far more cohesive environment. All the stories are South African stories and many of them are completely unique. As South Africans, when reading these stories one can take courage in knowing that in all the gloom and doom there are unique individuals, who in spite of obstacles are able to drive their organisations to greater success. We hope that you will find some of these anecdotes of interest and be persuaded to test some of these ideas within your own organisation. One small company which was totally reliant on three young key individuals who had developed unique expertise in programming, microelectronics and manufacturing came to the realisation that if one of these individuals were to leave, the company would be under severe pressure to find adequate replacements. All three individuals were young, dynamic, fiercely independent and ambitious. Fortunately, management realised that the calibre of these individuals was such that they would, in the near term, want to go out and establish their own organisations. In an anticipatory move, management approached the individuals and offered each of them their own company. The organisation employed the services of a professional team and developed three independent companies where each of the individuals were given a 50% stake together with a guaranteed offtake from the mother company. The outcome of this move was particularly significant in as much as not only did they retain their key personnel through the ownership of their own company, but these individuals were even more energised to improve their offerings to the mother company. A middle -sized company on reviewing the email system realised that a large percentage of outgoing emails were intercompany communications. They realised that the email system had become an inhibitor of face-to-face interaction and as a result management believed that the company was losing out on the potential of employees working effectively as a team. On agreement with their employees, the company decided to ban all internal email communication every Tuesday. The rationale was for staff members to get off their seats and go and consult with their colleagues rather than sending emails. Whilst there was initial reluctance on the part of staff, after a few weeks it was agreed that the ban had resulted in significant benefits for the organisation. By effectively ‘forcing’ members of staff to have personal interaction with their colleagues a whole new dispensation emanated. Discussions led to the generation of new ideas and more importantly the overall spirit in the organisation was lifted. Management recognised that the ambience of the organisation moved from one where there was minimal interaction to one in which colleagues started to look forward to coming to work on a Tuesday! This is a story of a high-tech company which decided that at any one time there were only a handful of key personnel who had to be on the premises during working hours. These included people operating the switchboard, security, financial and administration personnel. The bulk of their employees were highly skilled young programmers. The company entered into an agreement with these employees where each one was allocated a task and an agreed upon deadline for the task to be completed. The agreement stated that the deliverable could be achieved at their own time and as such there was no need for them to adhere to formal office hours. This newfound freedom enabled employees to schedule their lives in a way in which they were able to balance their work and private lives in the far more effective way. The company soon found that employees were opting to come to work at odd hours throughout the day and night. In order to make the lives of these employees as comfortable as possible a fully stocked mini grocery store was positioned at the end of each passageway of the four-storey building. The store was stocked with an array of foodstuffs and beverages which was selected by the employees. The only restriction placed on the use of the grocery store was that alcohol could only be consumed after 5 PM in the evening. When assessing the costs of this initiative against increased productivity there was no doubt that such a move created a mutually beneficial situation. The concept of self-directed work teams was fashionable in the 1990s and after many unsuccessful attempts in South Africa the concept soon lost popularity. There was however one company who persisted with the concept and found great traction with their workforce. This multi-million Rand manufacturing organisation had contracts to manufacture automotive components for both local and international consumption. The pressures on quality and delivery schedules were extreme with the organisation having to compete with major international organisations offering similar services. Key to the effectiveness of the organisation was being price competitive, alongside the need to produce components which had to meet exacting performance and quality standards. With increasing competition there was a need to find more innovative ways to cut down manufacturing times and costs. Whilst management adopted standard productivity processes it soon became apparent that they were running out of ideas. One day in a general discussion, one executive asked the question as to whether there had been any consultation on the shop floor? Surely he questioned, these are the people who are engaged on a daily basis with manufacturing these components and maybe, just maybe they see their day-to-day operations from an entirely different perspective? The first move was to call together the staff on the shop floor and to request them to think about their day-to-day routine and to identify whether in fact they might have ideas which would short-circuit some of the manufacturing times without any compromise on quality? This was the first time that any major discussion had been initiated with the shop floor workers on a companywide basis. The following week management engaged with the workforce and found that there were numerous ideas as to how productivity could be improved. Management soon realised that these people were thinking about the processes way beyond anything they had come up with. Of interest was a response from some of the work teams that productivity improvements should not only be focused on the manufacturing process itself, but also on their own colleagues, some of whom were not pulling their weight. They complained about people coming late to work, and in some cases the attitude of other co-workers towards the work environment was poor, whilst in other cases there was a need for additional training so that improvements could be achieved. As management digested the input from the workforce they came to realise that here were people who had a genuine desire to see the company achieve its output targets and thereby ensure that they, as employees, will continue to have a job. Management was also somewhat taken aback by the open way in which discussions around the performance of their colleagues took place. This led to the realisation that the company was endowed with a highly responsible group of shop floor workers who defied the normal perception. After reflecting on the exposure, management decided to enter into formal negotiations with the workforce. The end result was a handing over total control of the shop floor to the workers. Management entered into a formal contractual agreement in which quotas for delivery of finished components were negotiated to be delivered on a weekly basis. Management effectively extracted itself from the shop floor and left the management of the production facility to the workers. A series of self-directed work teams were established each with a specific role to play in terms of the final finished product. The upshot of this move was that management agreed not to enter the shop floor environment without specific permission from the coordinating group and further, management handed over all responsibility for hiring, firing and disciplining staff. The worker committee put up naming and shaming boards around the shop floor where if individuals persistently came late to work their name was displayed prominently on the board. The flexibility of the arrangement was such that the work teams would schedule their working times to give themselves long weekends. The productivity improvements were significant. The company was able to land even more lucrative international contracts. In one case the company signed a 5-year supply agreement with a guaranteed fixed price for the duration of the contract. Through the co-operation of the workforce they were able to meet all the conditions of the contract. The project was entirely successful due to the open-mindedness of management and the willingness on the part of the workforce to engage in a completely new dispensation. Sadly, when the company was sold the new owners could not see their way clear to retaining this “informal management system”. The CEO of a high-tech company who requires people with specialist electronic engineering skills became very disillusioned with the service he received from the professional placement companies. He hit on an idea to use his exiting staff to headhunt new staff on behalf of the company. His argument was based on the notion that his current specialist team would have their own network of friends and ex-university colleagues. So he called in his team and came to an arrangement with them based on them exploring their network and identifying likely prospects. He went further and got them to do the first round interview with the specific objective of seeing how the prospect would fit into what was a very close-knit team. The team would then present the CEO with a short list. The deal was that if the prospect was offered employment and performed well and stayed with the company for more than a year, the CEO would pay the internal ‘head-hunter’ the same that he would pay a professional placement agency. The process has been highly successful. The whole issue of staff development and training to meet new demands within an organisation is complex and requires specialist people in the human resources team to design and execute such programmes. The concept of a Corporate University is now well established in many global organisations. Here, companies either set up their own ‘university’ or enter into a formal partnership with a provider who can tailor offerings to meet the specific requirements of the company. In South Africa, Corporate Universities have in the main been unsuccessful. There are a number of reasons for this, including the limited ability of most South African Universities to customise offerings to meet the specific requirements of the business. The problem lies with the limited flexibility that universities have in changing course materials and even more concerning is the lack of academics who have sufficient business experience to stand up in front of people who are at the cutting edge of day-to-day business realities. 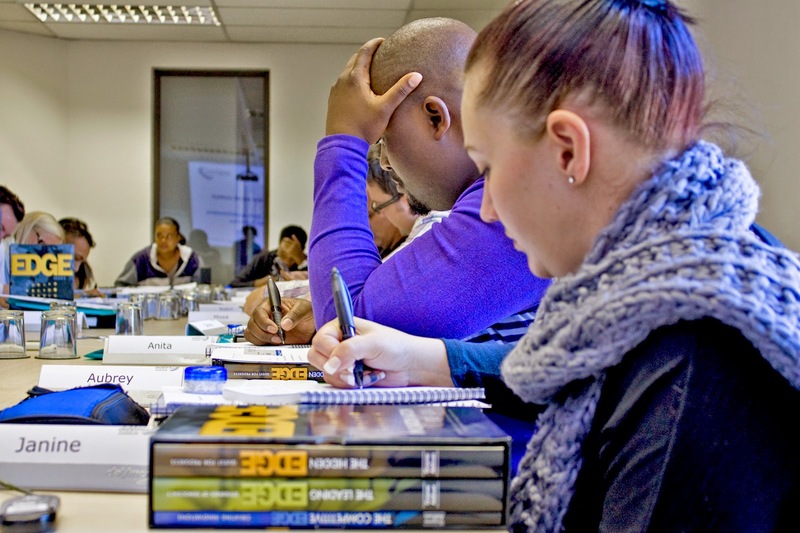 One large listed entity in South Africa saw the need to establish their own Corporate University not only to meet the growing needs to upgrade the skills of their employees, but also to use the entity as part of their attraction and retention strategy. 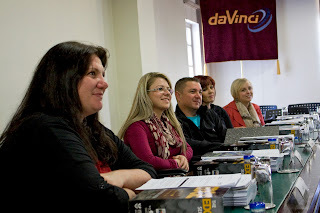 So, they entered into a formal partnership with the Da Vinci Institute with the specific objective of having a totally integrated suite of offerings which could lead to formal accredited qualifications. Employees are now able to access the in-house ‘university’ and obtain credits leading to undergraduate and post-graduate qualifications. The programmes on offer are tailored to meet the needs of all employees from the executive level downwards. Key to the design of the offerings are integration, in which the service provider is able to develop courses which meet the specific needs of the business. The success is based on an active partnership in which the company and the service provider co-design and co-deliver the programmes. The cherry on the top is how the employees who are on the programmes are assessed. This is achieved through the delivery of a post-module assignment where the employee is required to demonstrate their ability to use their newly acquired skills to solve a work-place problem. Managers who take the programme seriously are now finding a whole new resource base for the development of new ideas and concepts. The ultimate proof of success is to measure the bottom line impact which the new ideas have on the company’s performance. In some divisions the company has reported huge Return on Investments (ROIs) and in many cases this amounts to several multiples of the cost of the training itself. Further, the company found that the Corporate University had a demonstrable impact on their recruitment and retention strategy. This is a profound observation and one which a few Technology Top 100 Companies have put into practice. The idea is to recognise that you have within your organisation a range of people at different levels. Many of them are well versed with some of the day-to-day challenges facing the organisation. These forward looking organisations no longer take their executives away for a 3-day strategy planning process, rather, they have come to realise that if you include a cross-section of all people in the organisation and engage in a strategic planning process a number of significant spinoffs come to the fore. Firstly, they have come to realise the reach input that they get from these employees who under normal circumstances are never included in high-level planning processes. Secondly, and more profoundly, they have found that the psychological impact of having people at these levels being consulted by the executive has major impact within the organisation. All of a sudden there is a realisation that these people’s opinions are important to the wellbeing of the organisation and a direct consequence of this is that there is total buy-in from the employees. They take joint ownership of the new strategy. One manufacturing company has a regular Friday morning meeting with all the people on the shop floor. The scene is all about sharing ideas and letting the employees know what the challenges are and what the expectations of their customers are. It is an informal process but has been very powerful in gaining support. These anecdotes are great examples of ‘the power of people’. They reflect a move away from a top-down approach, so prevalent in many companies, to a bottom-up approach in action. Companies that are rigidly holding on to outdated practices, are probably doing so from a fear-perspective, especially fear to lose control of the company and the direction it should take. However, by empowering their people, the ROI for the different companies have proved to be significant. Once companies realise that their staff are their most important asset, rather than a labour force that needs to be managed, productivity and motivation soar. This entry was posted in business awards, innovation, management of innovation, management of people, management of systems, management of technology, managerial leadership on June 28, 2016 by Da Vinci. On the second of June 2015, nineteen individuals from various companies within the courier industry entered the Da Vinci Institute, situated in Modderfontein. With a clear purpose and intention to journey on a road of co-creation and life-long learning, the energy within Da Vinci escalated as the excitement and nerves started to filter. 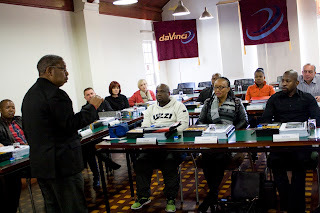 The Da Vinci welcoming was orchestrated by Thrishan Naicker, Key Account Manager for the BCom Supply Chain cohorts. 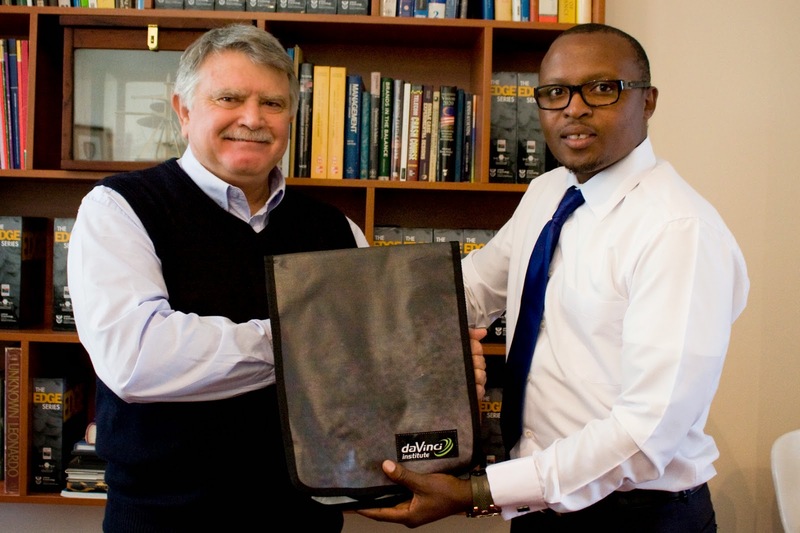 Garry Marshall, CEO of SAEPA addressed the students with encouraging and inspiring words. Marshall stated that gone are the days of old when people with just experience and no formal qualifications operate within the Supply Chain industry. The future of the courier industry is dependant on allowing passionate individuals to learn but also to focus importance on the application of such. 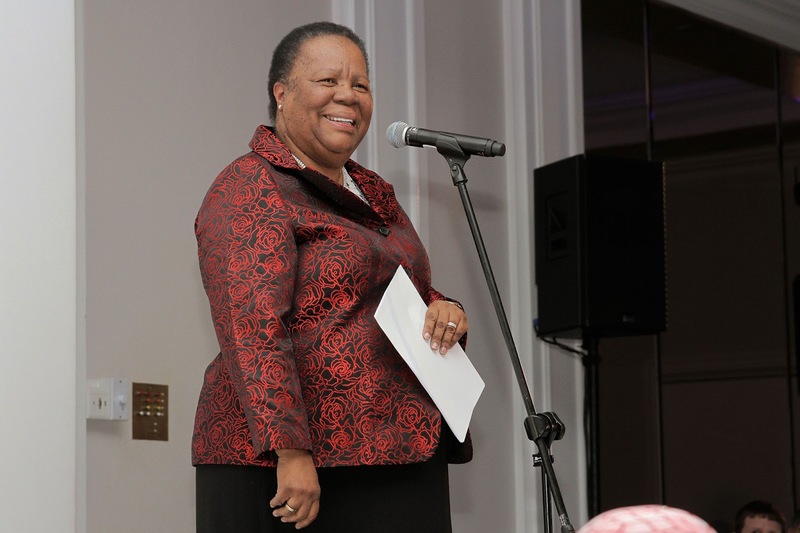 Dr Linda Chipunza carries out personalised student support for all students and in her gentle character, encouraged students to find that balance within their own lives in how to effectively manage work pressures, home life and that of a study routine. As working adults it is often hard to take on an additional task of studying, and this is commendable and achievable. Dr Chipunza relayed her support to the students and also advised them of Shadowmatch, which is a behavourial pattern tool to establish various behaviours which allow positive action, rather than negative. Ronald Mlalazi is a Da Vinci associate and is a colleague at Commerce Edge, procurement and supply chain management faculty at Da Vinci. Mr Mlalazi congratulated students for having the courage to take the first step on this journey and offered words of wisdom in accomplishing this great achievement. The first workshop for students was facilitated by Mr Joshua Bhengu and consisted of Self, Other and Social Context (SOS), Problem Solving, Creative thinking and decision making (PCD) and Managerial Leadership Development (MLD). True to Da Vinci’s purpose is the notion of cultivating managerial leaders, of which these three modules apply strongly to. 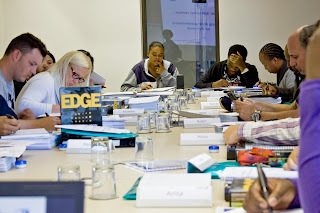 Each one of these nineteen individuals are a managerial leader within themselves and the co-creation of such modules assists in unlocking and unleashing the very potential to become a great managerial leader. This entry was posted in BCom, co-creation, critical thinking, discussion, entrepreneur, facilitation, Faculty, innovation, learning journey, management of technology, managerial leadership, Mode 2 methodologies on June 2, 2015 by Da Vinci. On Tuesday morning, the 26th of May, twenty one students arrived as part of the new group for the Metro Minds Certificate programme which is applied to the Sales Process and Management Environment. The students are from different companies within the courier industry and the initial development of this qualification was done in association with SAEPA (South African Express Parcel Association), a Task Team from SAAFF (South African Association of Freight Forwarders) and The Da Vinci Institute as the accrediting body. The sponsorship from TETA through the TETA Discretionary Grants: Bursaries has assisted in the implementation of this project. 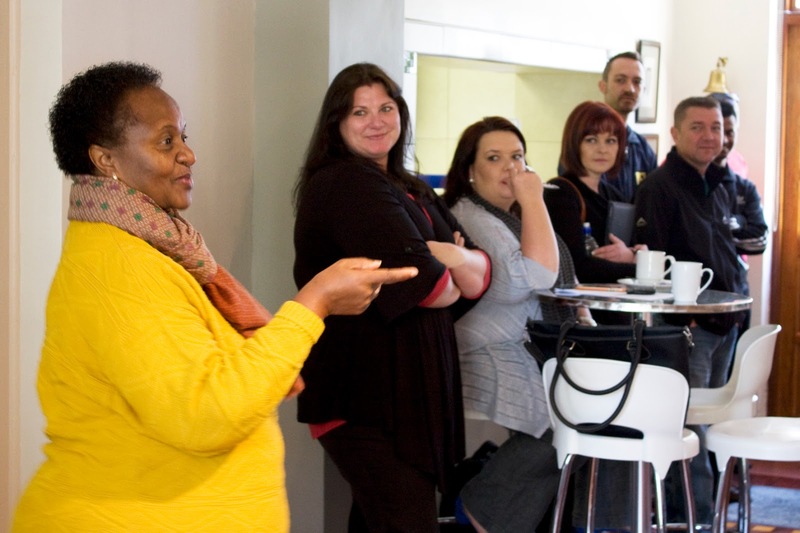 The 12 month programme will include core modules such as the management of technology and innovation delivered by The Da Vinci Institute as well as The Art of Selling & Presentations, Sales Finance and Supply Chain Value which is facilitated by Juliette Fourie, CEO at Metro Minds. 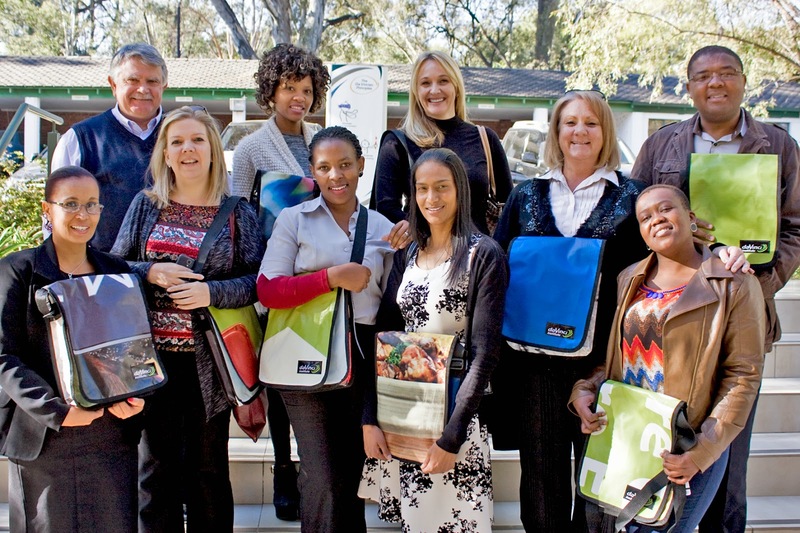 Students will be required to attend workshops once a month at The Da Vinci Institute in Modderfontein. Assignments are workplace based assignments and require involvement from companies, mentors and managers within the respective companies. 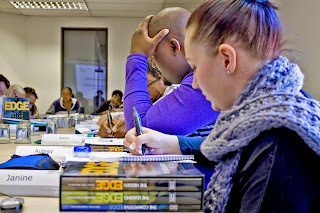 Learners will be required to meet the exit level outcomes with the related critical cross-field outcomes through integrated submissions on post-module assignments. “SAEPA would like to thank all parties involved in making this project a reality – a special word of thanks to Tony d’Almeida and the SAAFF team for having the vision of this programme and driving the project to where it is today. 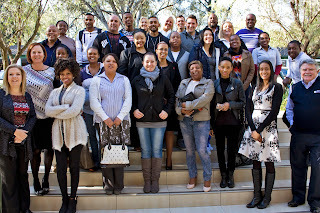 We look forward to reporting many successes through our learners at the end of this programme and thank our members for participating in this project with us”, said Martine Maraschin, Skills Development Task Team of SAEPA. This entry was posted in BCom, Certificate, co-creation, critical thinking, facilitation, innovation, management of technology, managerial leadership, Masters, phd on May 26, 2015 by Da Vinci. 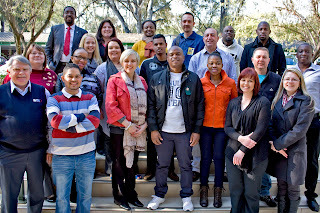 Accenture South Africa hosted its first Accenture Innovation Conference at The Country Club Johannesburg in Woodmead on 26 February 2015. The conference included a gathering of some of the world’s foremost innovation thought leaders to focus on how South African companies can best use innovation to achieve greater competitiveness, productivity, efficiency and growth. The conference, organised around the theme Dare to Disrupt, brought together more than 1,500 business leaders, including many of the country’s top business innovators. The conference focused on a broad range of topics related to the use of digital and other breakthrough technologies in areas ranging from strategy development to business operations. Top-class speakers explained how technology—notably digital technology, has already disrupted every area of our lives, challenging industries, companies and customer channels. They also addressed how business and government leaders in South Africa and the sub-continent can nourish innovation, change conventional thinking and support transformation. In his opening address, Accenture South Africa Chief Executive William Mzimba indicated that against the backdrop of increasing volatility and growing competition fuelled by globalisation, only organisations that seamlessly integrate innovation into everything they do will secure sustainable growth and create a competitive advantage. He stated that the Accenture Innovation Conference provides a platform from which businesses and organisations can explore strategic and practical insights on innovation to help frame their strategic vision and drive their innovation road map in an unprecedented manner. He also explained the relevance for South Africa as a regional leader and why innovation can bring value to the sub-continent. According to Greg Brandeau, president and COO of Maker Media, and former chief of Technology and Operations of Pixar and Walt Disney, innovation leadership is the key to creating an innovative culture and harnessing the business value of innovation. “The most successful innovative companies have a leader who drives innovation actively throughout all levels of the organisation. Creative thoughts are encouraged; incentives given for ideas that can be commercialised and processes are in place to support that commercialisation. It is a culture that drives competitive differentiation,” stated Brandeau. “The key to company-wide creativity is a special kind of leadership. It does not necessarily look like other kinds of ‘good’ leadership. It does not mean creating a vision and trying to make innovation happen as an individual. Instead it means creating and sustaining a culture where innovation is allowed to happen again and again, creating an environment where people are both willing and able to do the hard work that innovative problem-solving requires,” concluded Brandeau. Sebastian Thrun, Google Glass inventor, robotics developer, educator, CEO and co-founder of Udacity, advocated the value of innovation to change people’s lives. “Innovation in education, especially in Africa, will reap immeasurable results for the future and holds huge benefits for African economic growth through providing the skills to drive innovation and deliver on the growth agenda. 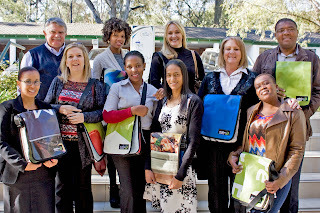 At the end of the day, the true value proposition of education is employment,” stated Thrun. “Innovative organisations leverage innovation to combat increasing volatility, industry-specific concerns and growing competition. By fostering a culture of innovation seamlessly in everything they do, innovative organisations decrease costs without reducing headcount, increase their market share and improve social conditions. When leadership is able to strategically focus their efforts around innovation they will secure sustainable growth and create a competitive advantage,” explained Lisa Bodell, best-selling author of Kill the Company, in her talk about removing the obstacles to harnessing innovation. “We are focused on developing a much broader, stronger economic partnership with South Africa to help develop a vibrant innovation economy, capturing the tremendous potential of your scientists and companies to help solve some of the planet’s toughest medical, environmental and manufacturing challenges, while making businesses more productive and helping to create thousands of new jobs,” added Gaspard. South African business innovation success stories were showcased in the exhibition sections at the conference. The showcase culminated with the announcement of the winners and findings of Accenture’s second Innovation Index, which examined how innovation is managed within an organisation and looks at a number of key aspects of innovation management, including how the business encourages innovation among employees, leverages technology and embraces innovation in service delivery. It also assesses whether companies are innovating in a manner that is socially and environmentally responsible. The Innovation Masters category comprises of two sub-categories. The Accenture Innovation Overall Masters Apex Award for 2014 goes to an organisation with an annual turnover of less than R40 million and the top honours went to Angel Shack (Pty) Ltd. The Accenture Innovation Overall Masters Zenith Award for 2014 goes to an organisation with an annual turnover of more than R40 million and the winner was Blue Strata Trading. 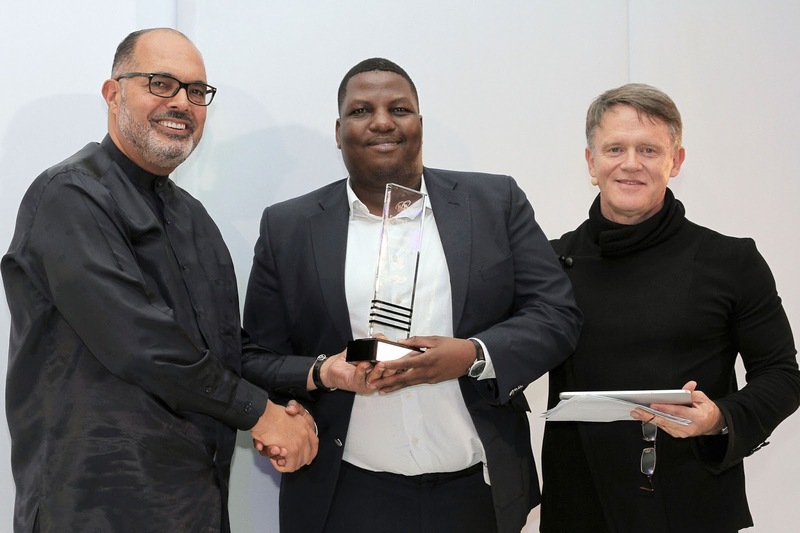 Meanwhile, Easy Equities – First World Trader (Pty) Ltd was awarded the title of Accenture Innovation Concept for 2014. The Accenture Innovation Index welcomes entries from listed and unlisted companies, as well as Non-Government Organisations (NGOs) and public organisations across a variety of industries including financial services, resources, health and public sector, communications, technology and media. The Accenture Innovation Index participants enter in two categories of innovation – The Innovation Masters and the Innovation Concepts. Innovation Masters comprises companies that exude innovation through everything they do. Entry into this category was open to any organisation regardless of size, industry or listing. The judging process explored how innovation is managed in an organisation and looked at a number of key aspects including how companies encourage innovation with their employees, leverage technology and embrace innovation in service delivery. The judging process also considered whether companies are innovating in a space in which they remain socially and environmentally responsible. Organisations may enter a concept into the Accenture Innovation Concepts if the concept has been commercialised, sold in the market place for a period shorter than three years and is genuinely South African. Evaluation of the entrants looks at product development, process and system design, as well as service delivery. The 2014 Innovation Index saw an increase of 90 percent in entrants vetted for creditworthiness by TransUnion compared to 2013, demonstrating a higher number of quality entrants and revealing organisations’ seriousness about innovation. “South Africa’s average innovation score improved by a third this year compared to 2013, indicating that corporate South Africa is driving new thinking to face market opportunities head-on,” stated Yusof Seedat, head of Accenture Research, South Africa. “A positive trend this year has been the growth of open innovation as a means to leverage knowledge from outside the organisation to help solve problems and find new ideas for creating growth. This collaborative approach is seen as an important way to bring innovations to market faster and gain a competitive advantage over peers,” stated Seedat. “Among the most important findings this year, given the recurring theme of innovation leadership, is that chairmen and CEOs may remain the ultimate custodians of the innovation agenda, but there is a gratifying increase in the number of innovation departments formalised within company structures,” explained Seedat. “The 2014 Innovation Index results show an improved innovation score in South Africa – the outcome of several positive organisational evolutions. At the same time, much work remains to be done to overcome barriers in the way of adopting innovative practices. Laggards and smaller organisations can emulate the habits of highly effective innovators, including committing strong leadership and embracing emerging digital technologies that foster collaboration and ideation at scale,” concluded Seedat. Annually, Accenture partners with The Da Vinci Institute to develop a sound methodology for the independent measurement of entries in the Innovation Index. Accenture does not participate in the evaluation procedures. 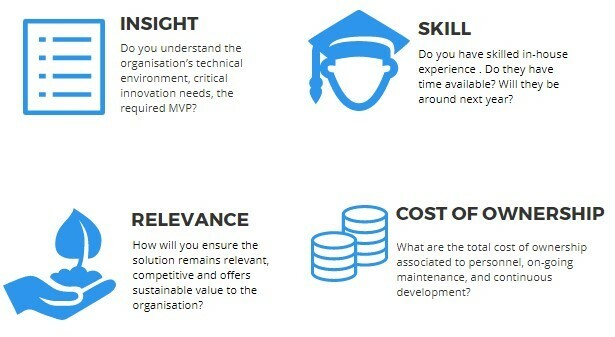 Each organisation entering receives a customised innovation diagnostic report or dashboard that identifies their innovation gaps and strengths, providing business value to the entrant. It also benchmarks the organisation within its industry and provides strategies that may help the organisation to gain a competitive advantage. 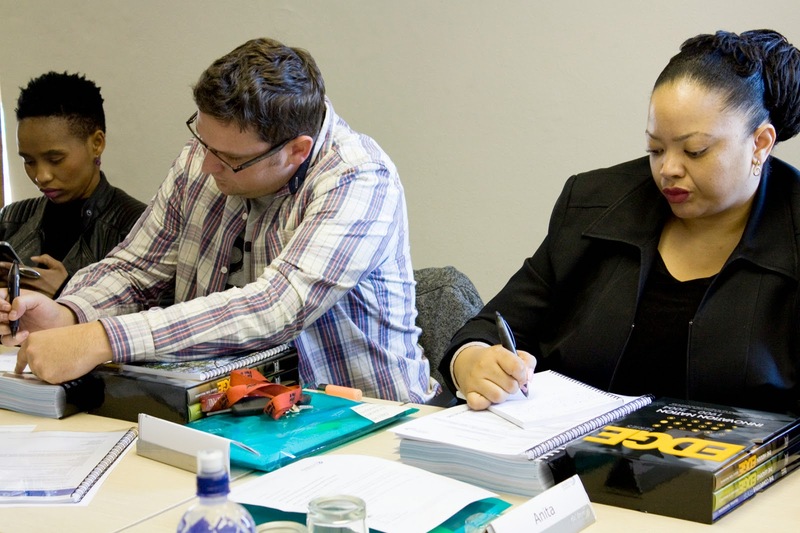 Working collaboratively to complete the questionnaire for entry, the process sparks new conversations across various areas and levels of responsibility in organisations to help them uncover their strengths and opportunities from the onset of their participation. The assessment process includes a vetting through TransUnion – the credit and information management company – completion of the main questionnaire and adjudication of high-scoring companies. Further vetting through TransUnion and a final judging round is undertaken to verify organisations and determine the winners. The Innovation Index survey is quantitative in nature with very limited open-ended questions. It touches on all aspects of an organisation’s innovation and those who enter have the option to submit their concepts for consideration in the showcase and awards. This entry was posted in Accenture Innovation Conference 2015, Accenture Innovation Index, innovation, innovation. Facilitation. Co-creation, management of technology, managerial leadership, The Da Vinci Institute on March 30, 2015 by Da Vinci.